Ripon Grammar School’s talented hockey players have achieved their dream by beating the best in the country at a prestigious national finals, following a tense penalty shoot-out on London’s Olympic pitch. 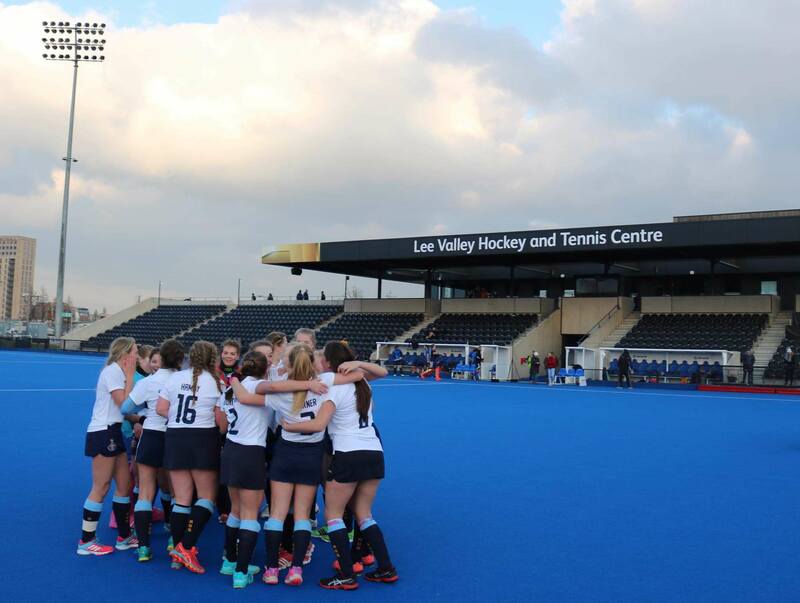 The Under-18 team, who have been competing at top national level for the past two years, were crowned State Boarding National Champions in front of an ecstatic crowd of parents and supporters who travelled to the Queen Elizabeth Olympic Park from Yorkshire. Delighted coach Trevor Bosomworth said the girls had to display plenty of Yorkshire grit and determination to win through a very tough semi-final and final, which both ended in nail-biting penalty shoot-outs. It was certainly a case of team work making the dream work. They should feel very proud of their achievement. The 15-strong squad were up against Surrey’s Gordon’s School in the finals, where they dominated the first half, but ended up in their second penalty shoot-out after finishing 2-2 at full time. It was very tense. Players have just eight seconds, one-on-one with the goalkeeper, to score, starting 23-metres away from the goal. It was really amazing to play on such a professional pitch. The great team spirit and support carried us through. It was pretty inspirational when we were on the pitch. Everyone upped their game and played the best they’ve ever played. Miss Gilfillan said the girls, who previously reached the indoor under-16 national play-offs and outdoor under-16 national finals, were the most successful RGS team ever. It was a great finale to seven years of great team work and great friendship. Their conduct, hard work and achievement has been amazing, they are a real credit to our school. It was really special because we have tried to get to the finals at the Olympic pitch for so long, but only just missed out. I am so proud of the whole team. Both Marianne and our other goalkeeper, Emily Hamby, made some amazing saves. And all the squad played their part, with everyone getting to play on the Olympic pitch. I’d also like to pay credit to their coach Trevor Bosomworth who has worked hard to get the girls to this level. It was an amazing opportunity to play some great competitive hockey in the finals of a national competition – and in the Olympic stadium too.